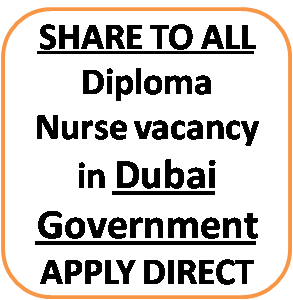 With Two years of experience, here is a great chance for you to get a job as Nurse in Dubai Health Authority. The opportunity is well open for all diploma nurses with minimum two years of experience. Find the link here to apply directly. All nationalities can apply. Please hurry that the last date is nearing very fast. 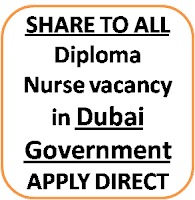 Grab this golden chance to be a Nurse in Government of Dubai, United Arab Emirates. Please "find the link" in the first paragraph, above to send all the details directly to Government of Dubai. Hurry.